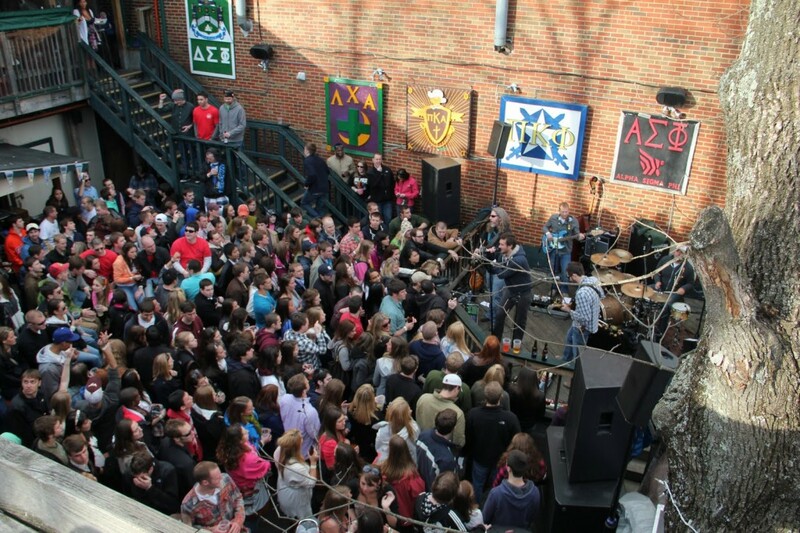 Campus bars are a fundamental component of the college experience. Students learn to love their teams, in good times and in bad, while balancing plastic cups of Keystone and watching games with their peers. Every school has its favorite bar — the one that is as synonymous with a four-year college career as the freshman dorm, quad, or library. 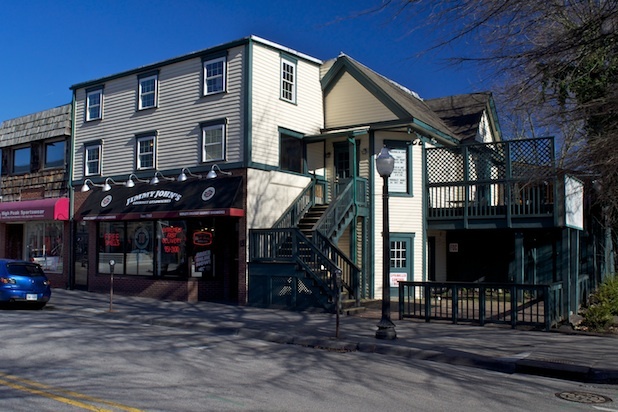 #5 Top of the Stairs – Blacksburg, Va.
Virginia Tech Top Bar – Top of the Stairs, or “TOTS,” as it’s affectionately known among students, overflows with Greeks and non-Greeks alike most nights, especially karaoke night. The signature drink is called the Rail, an effective mix of all the liquors on the shelf (“the rail”), which makes for both a great conversation — and party— starter. But don’t discredit Virginia Tech Top Bar TOTS’ extensive food menu, which is available at the bar and for catering.